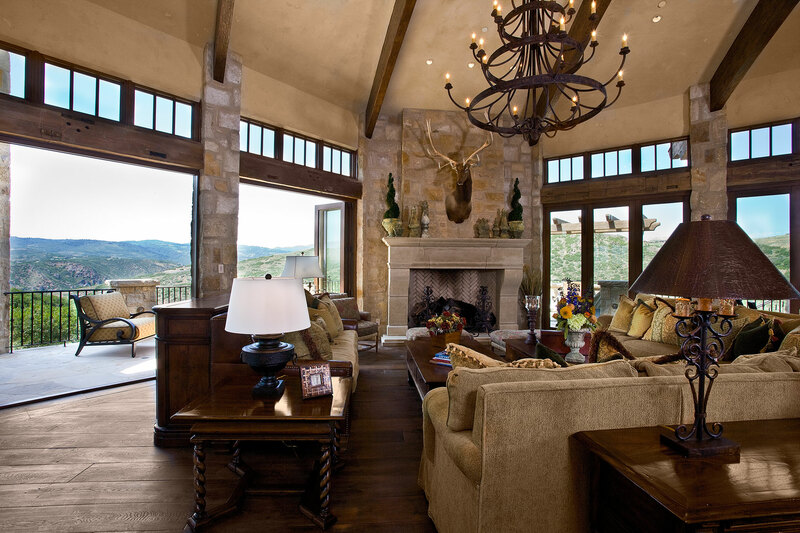 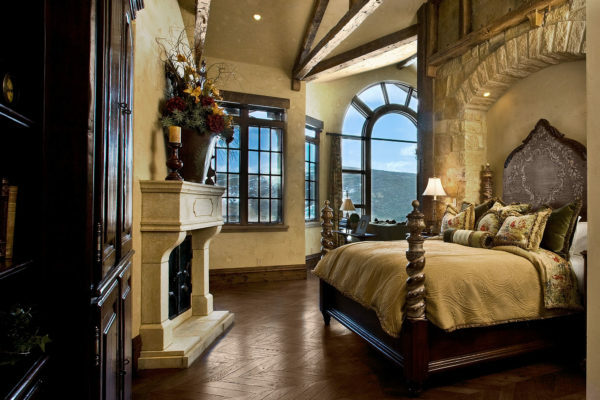 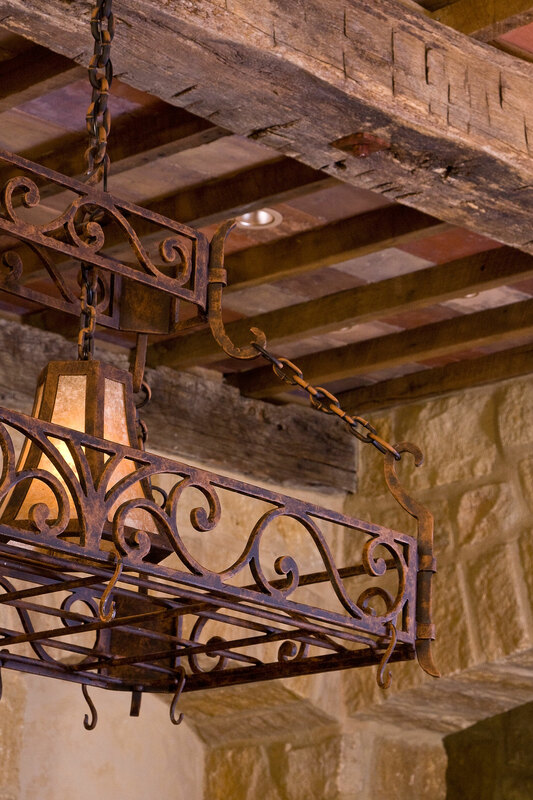 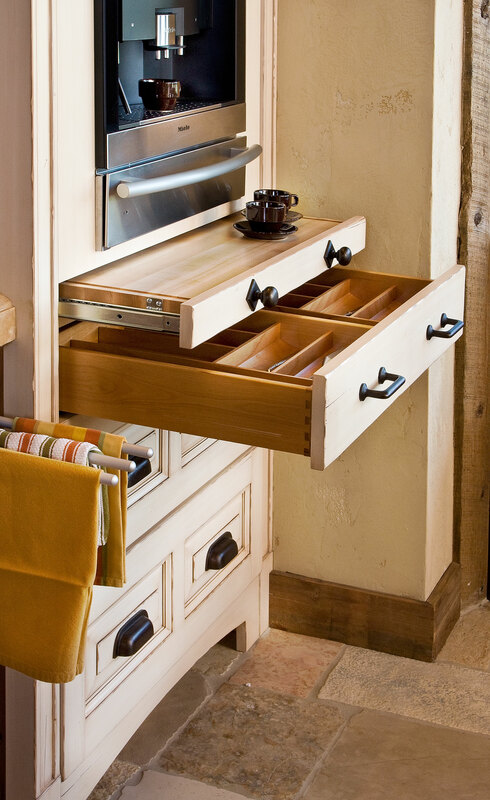 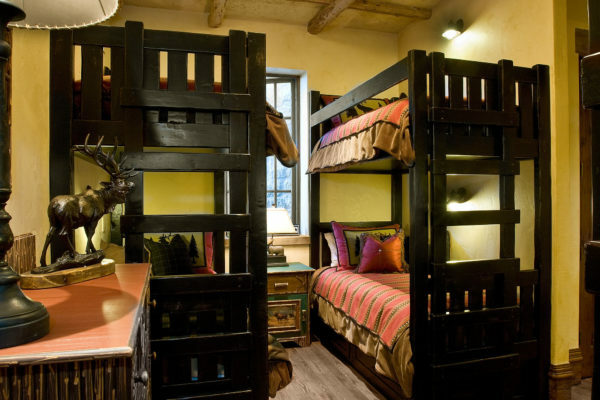 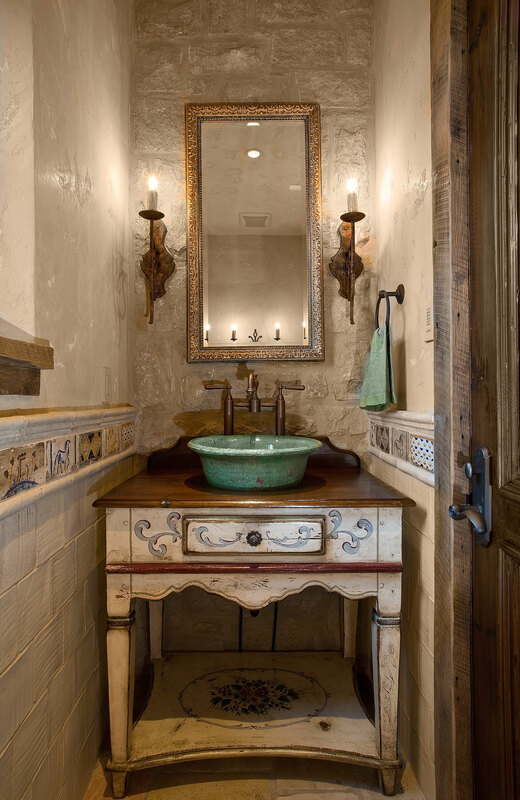 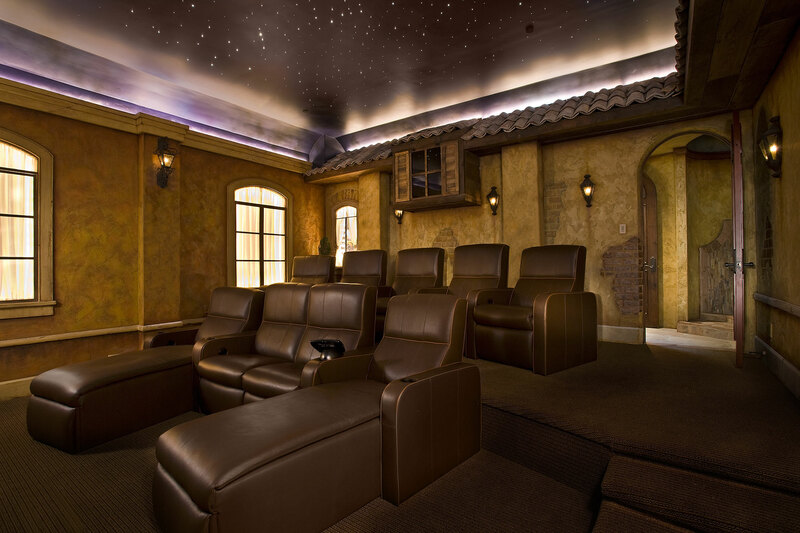 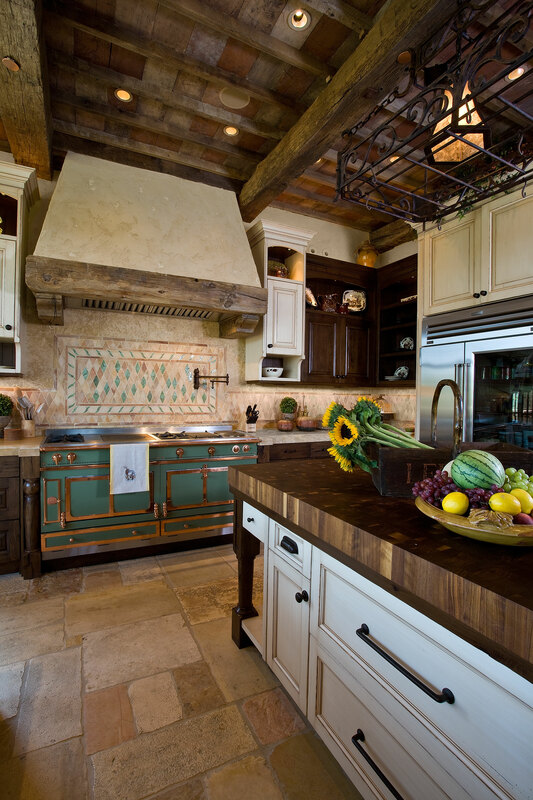 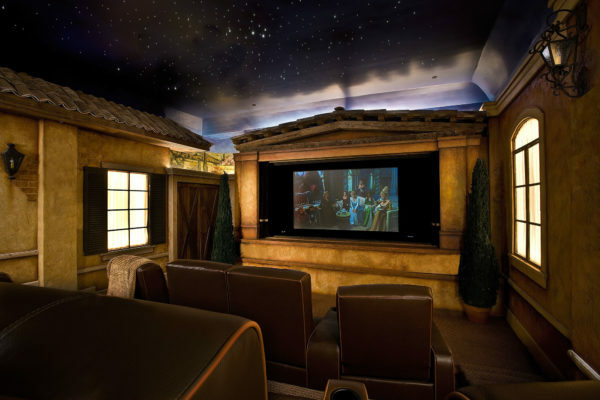 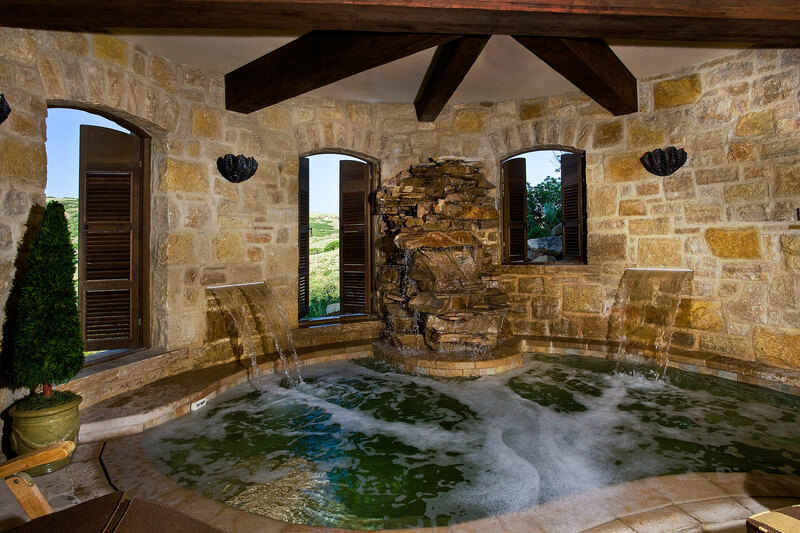 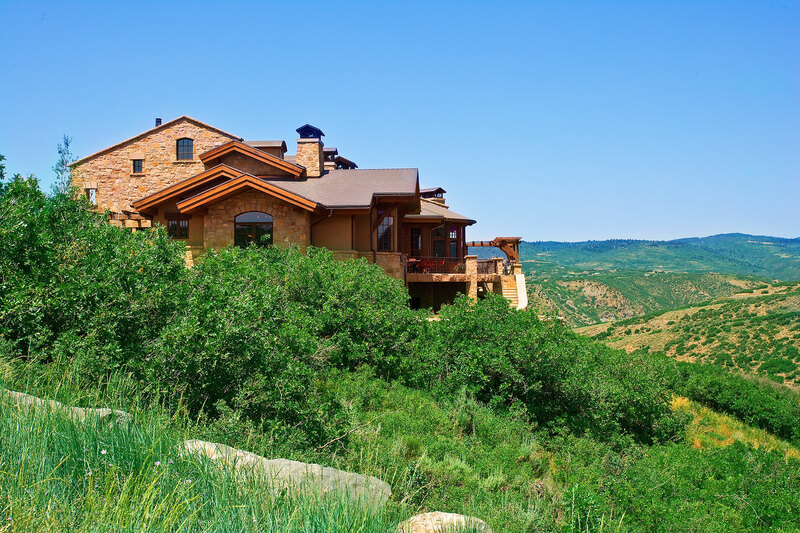 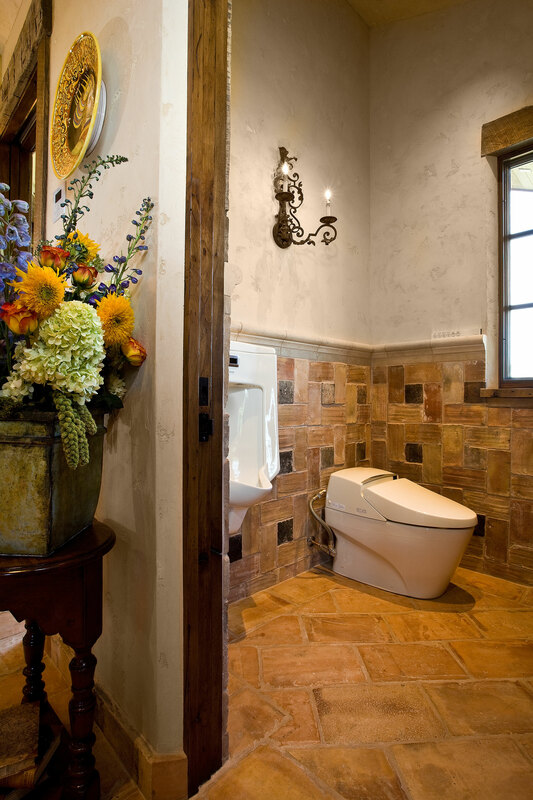 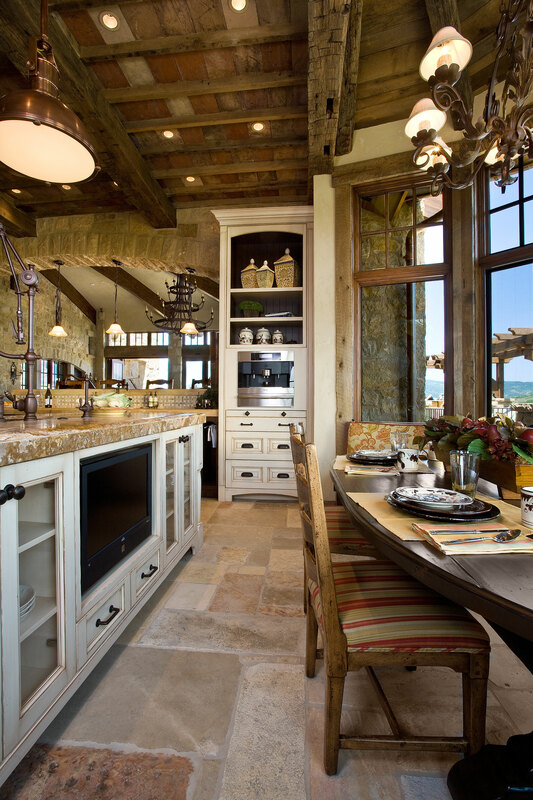 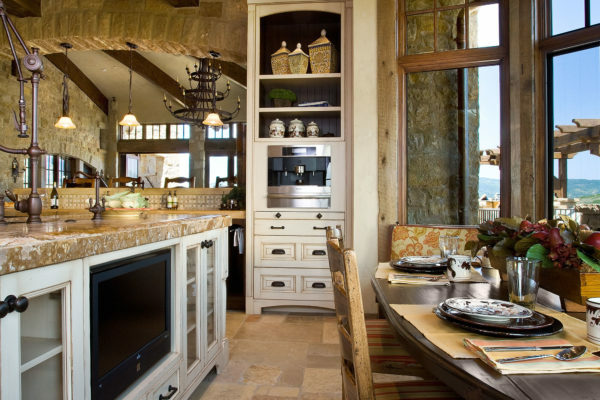 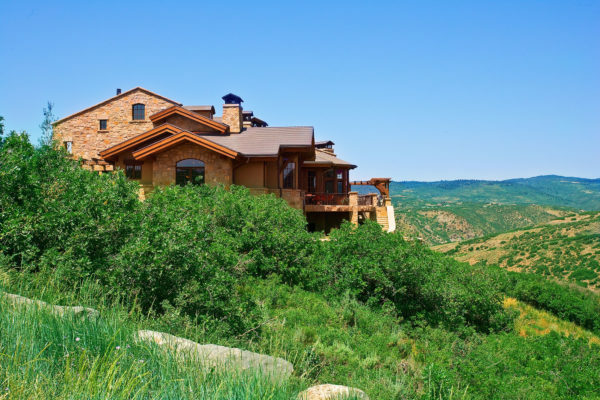 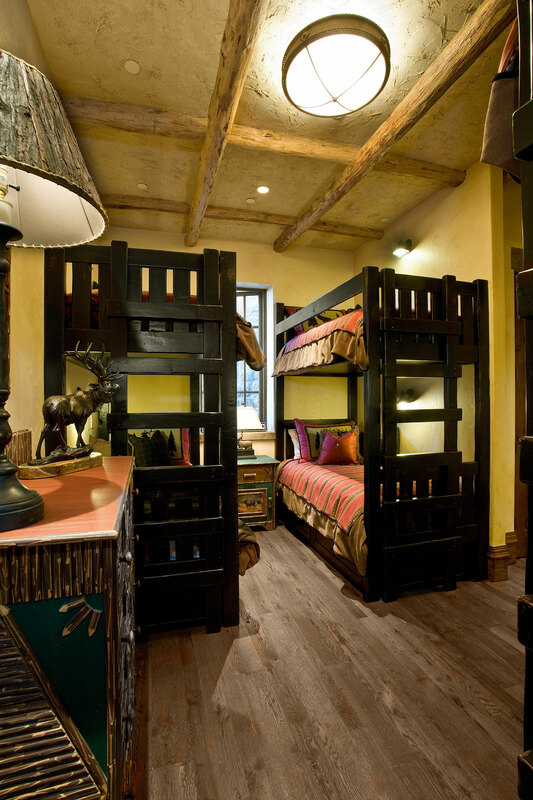 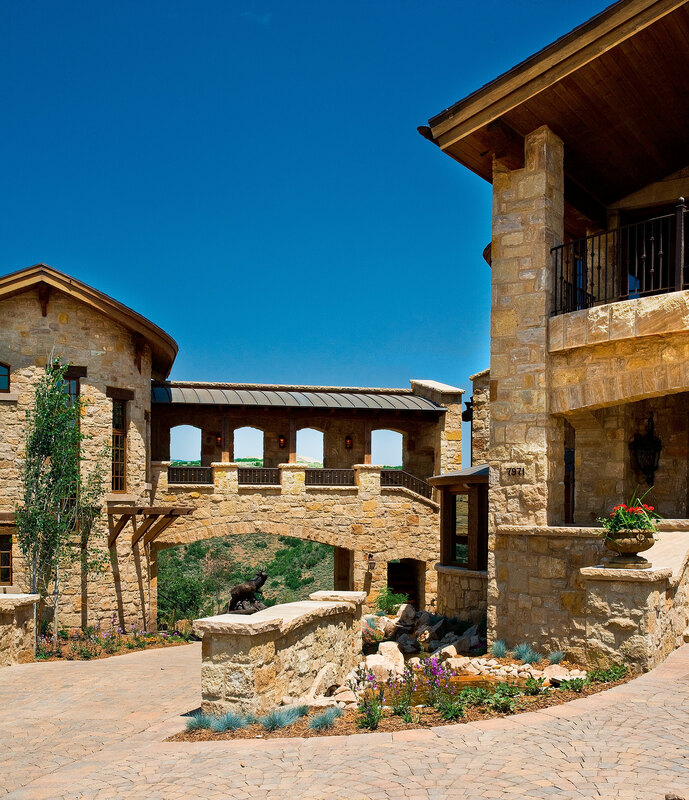 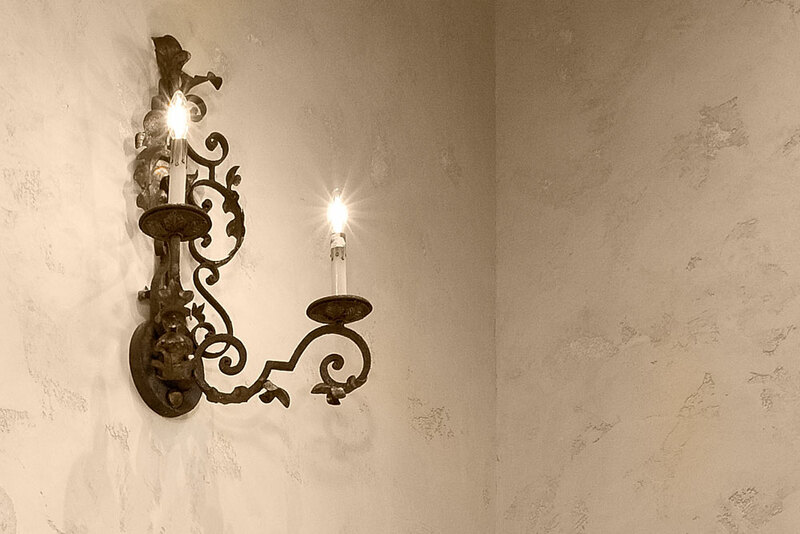 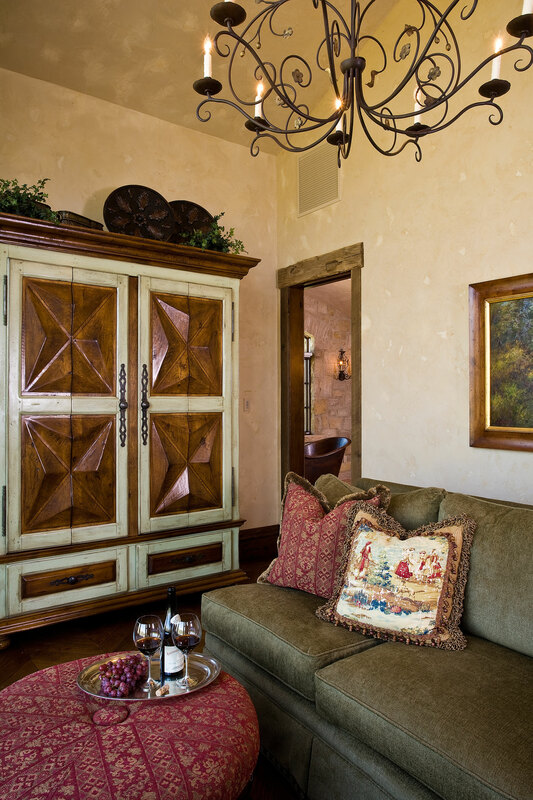 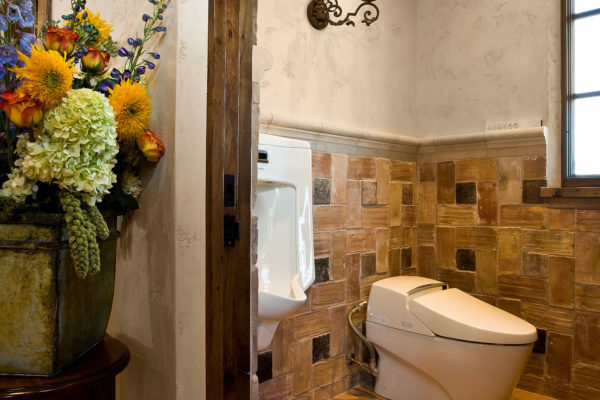 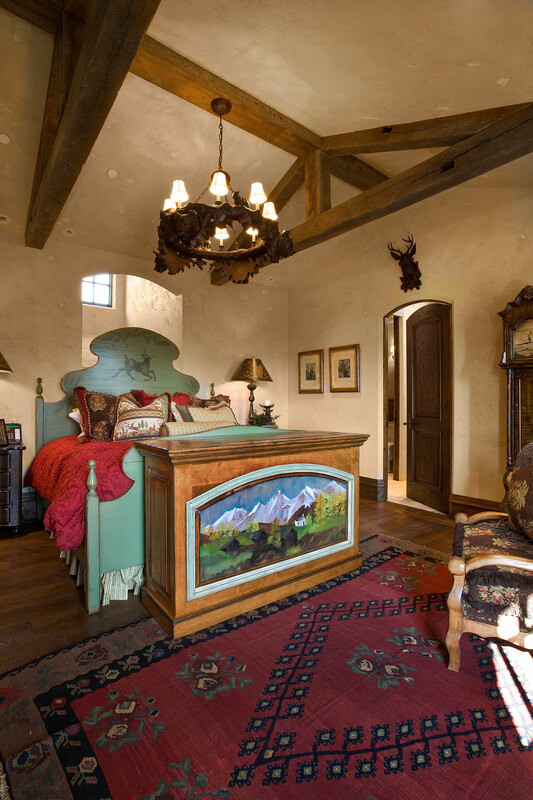 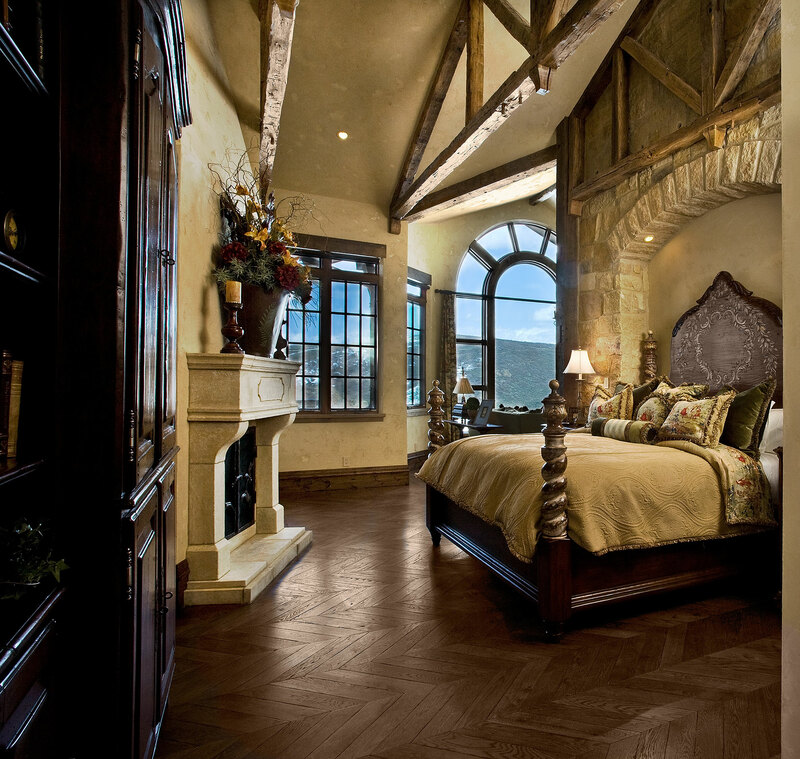 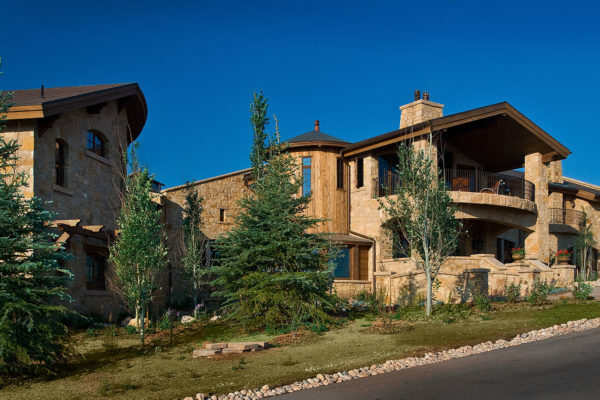 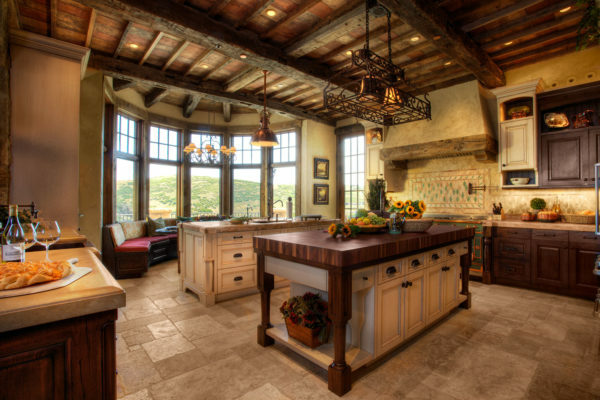 Our clients wanted to bring the Tuscan countryside to Park City. 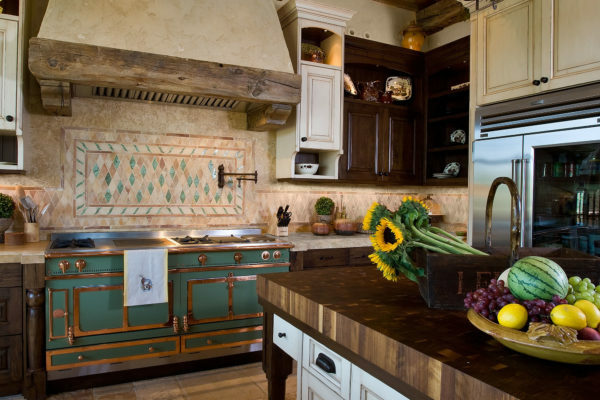 We worked with an ancient Jerusalem stone and introduced terra cotta tiles in hues of burnt orange and brick, which are key elements of the Tuscan region. 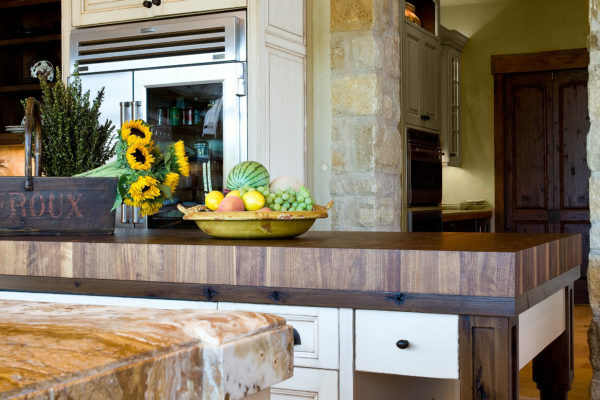 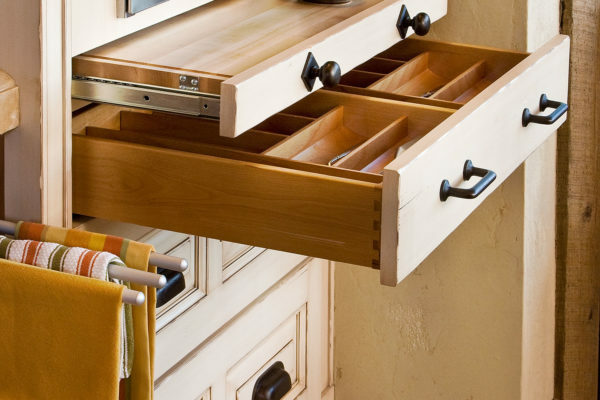 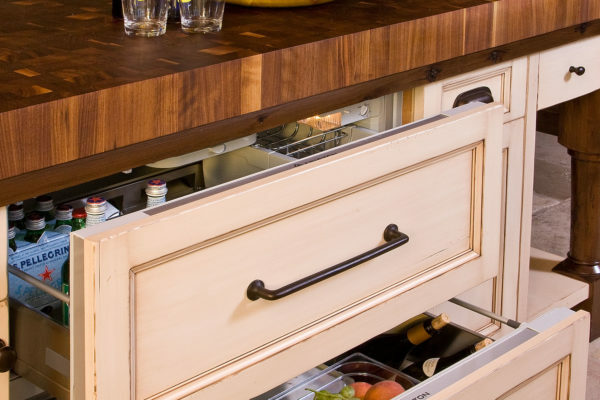 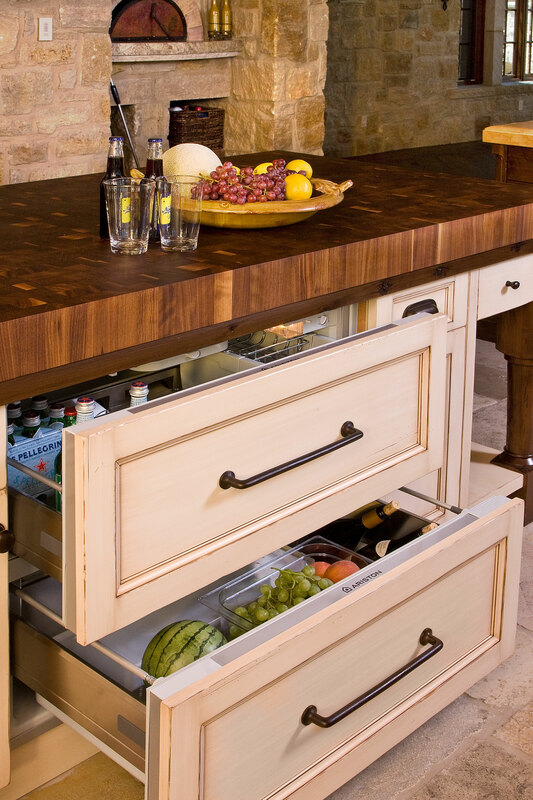 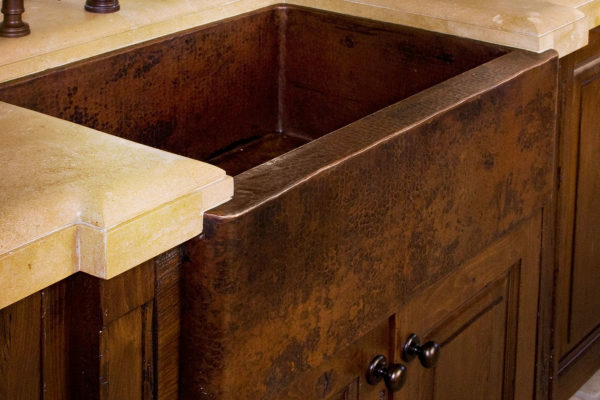 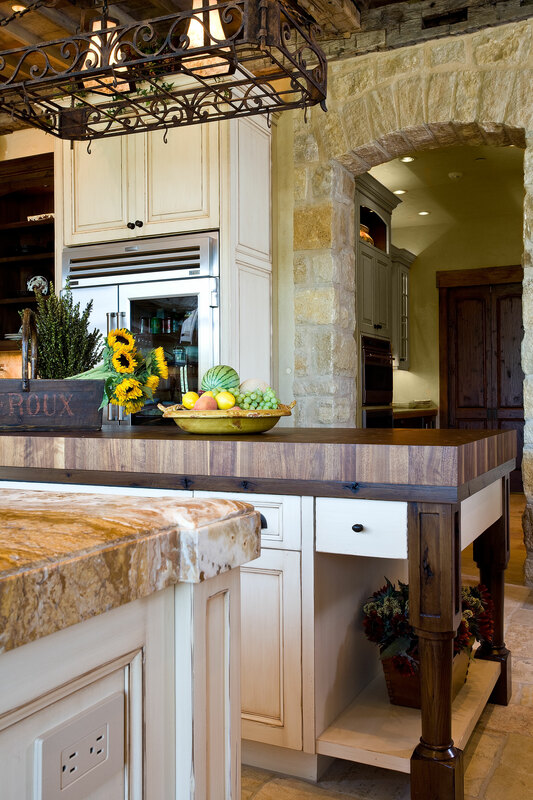 Massive, reclaimed wood add detail to the great room , kitchen and dining areas. 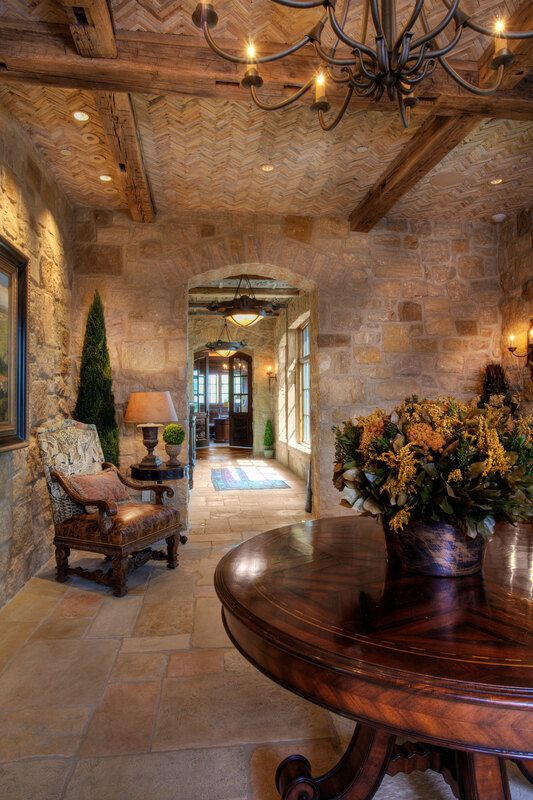 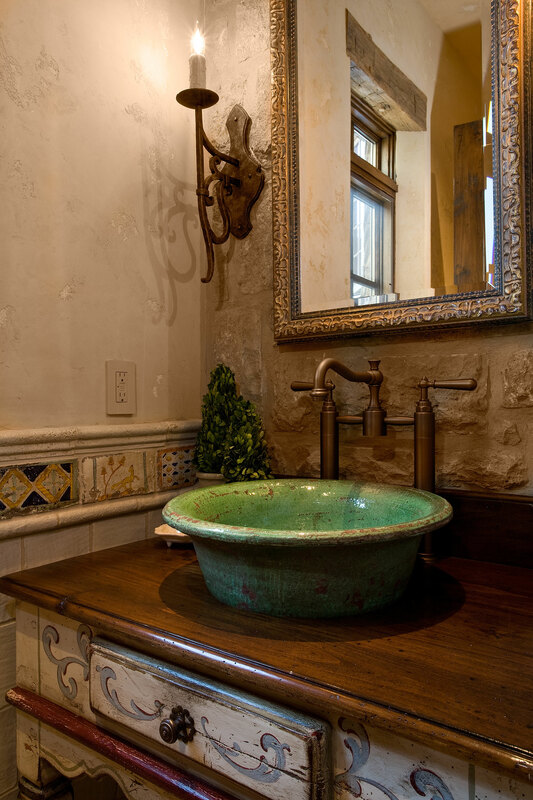 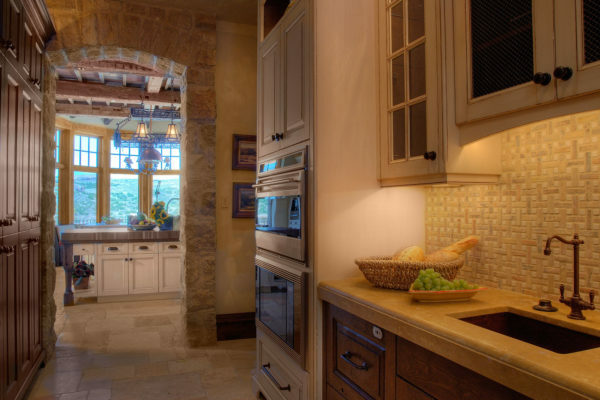 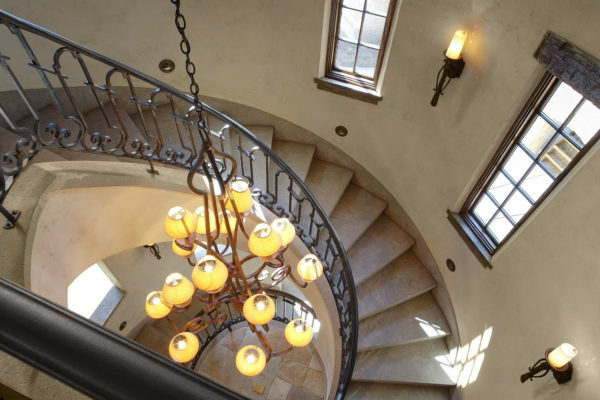 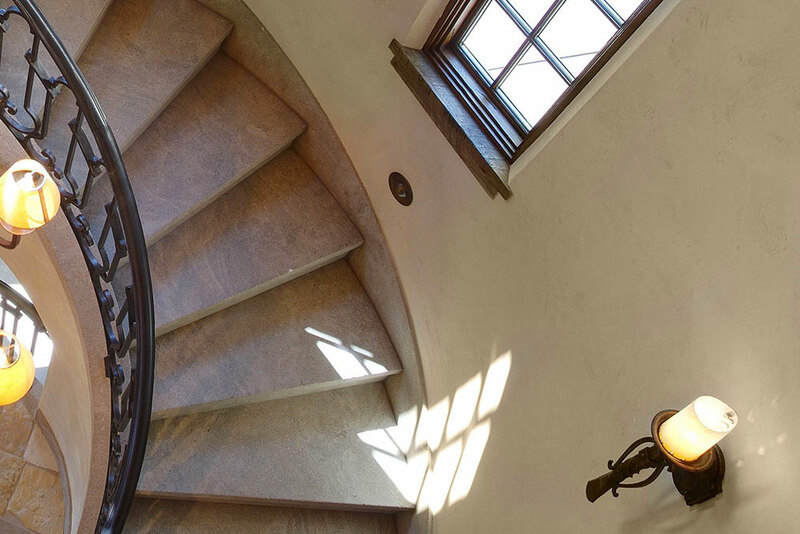 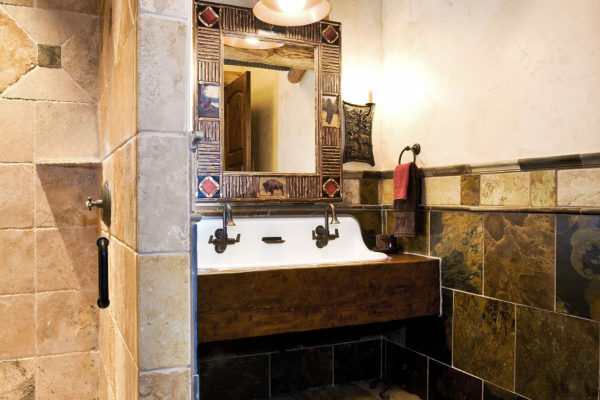 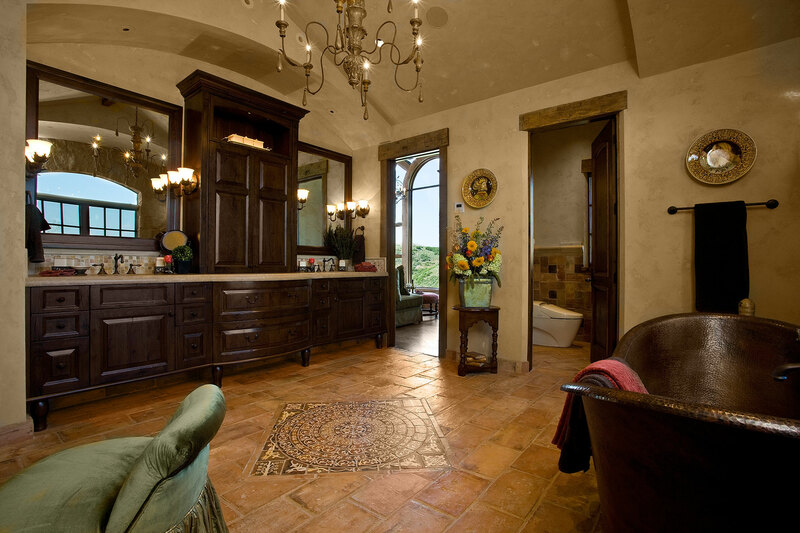 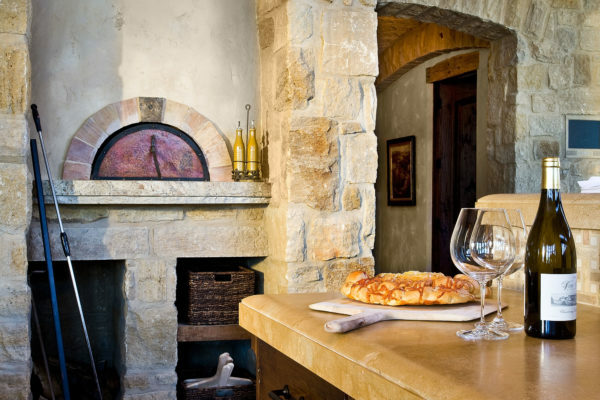 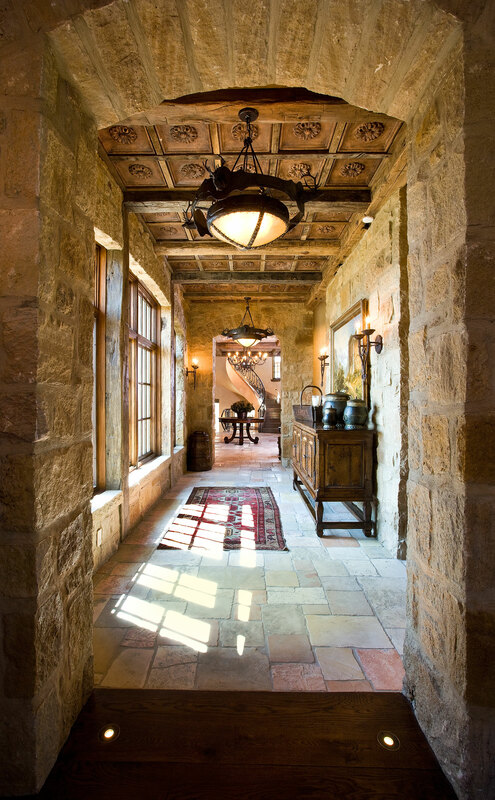 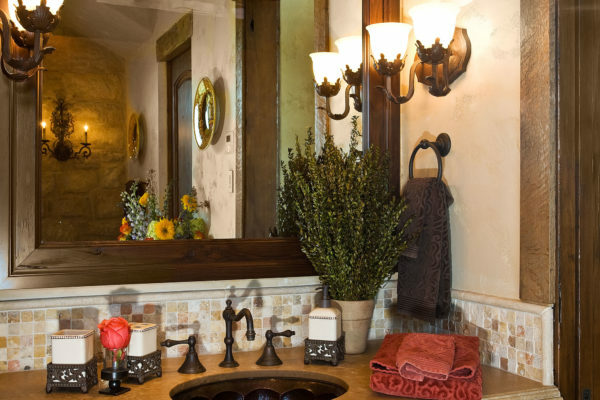 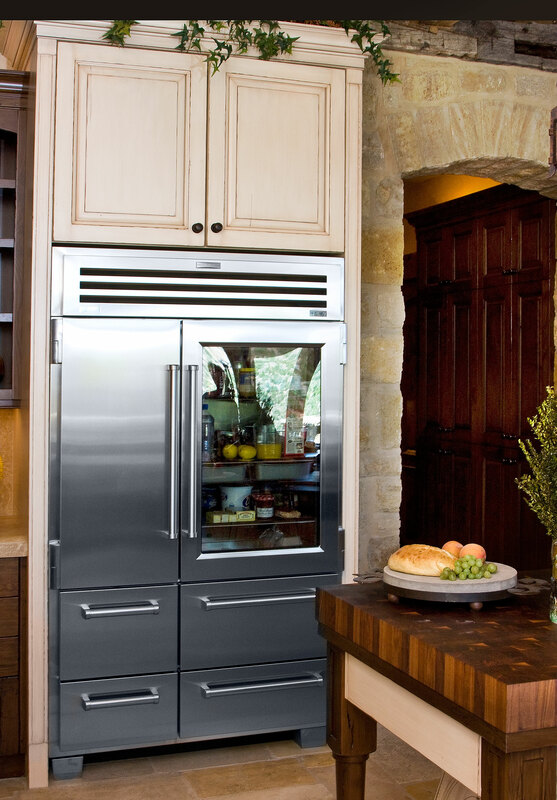 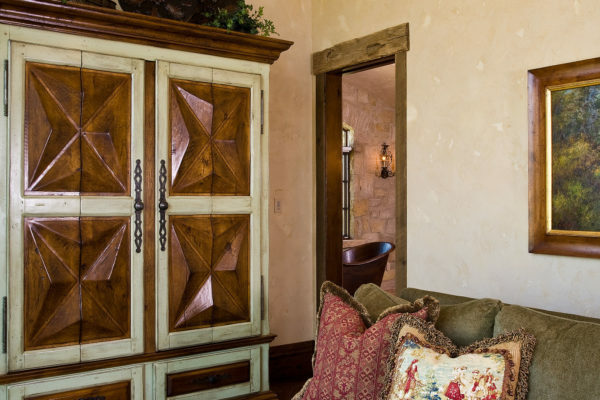 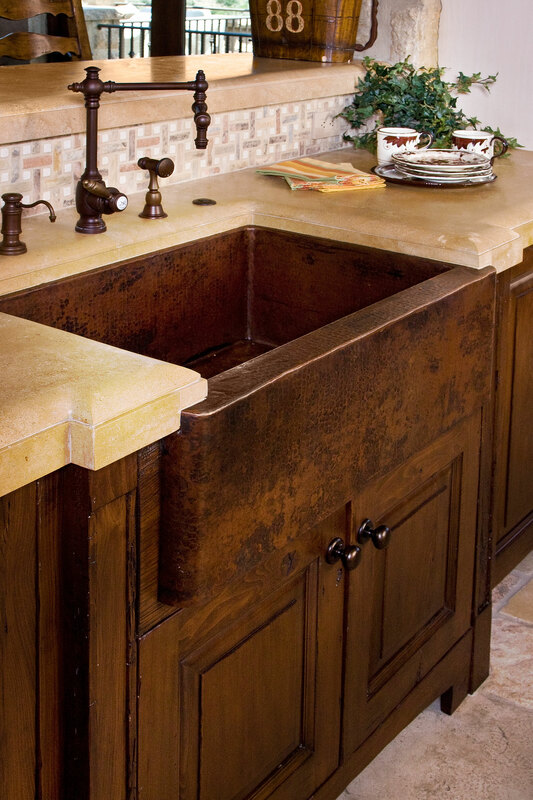 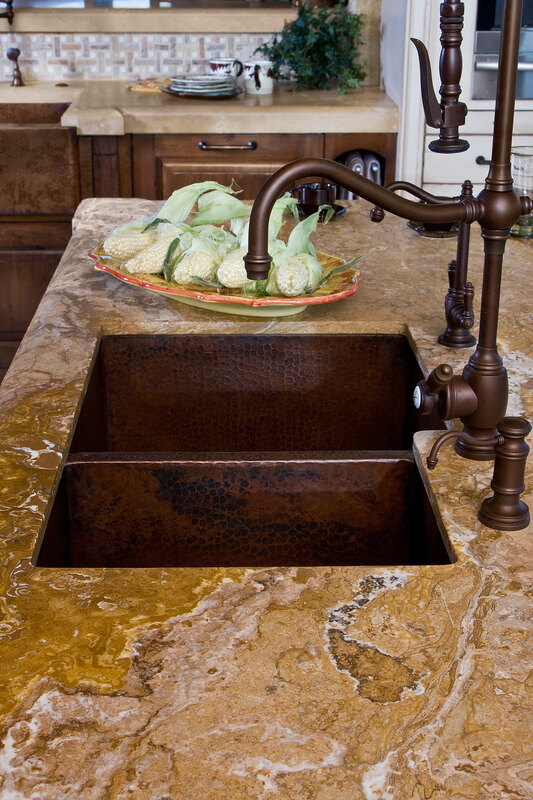 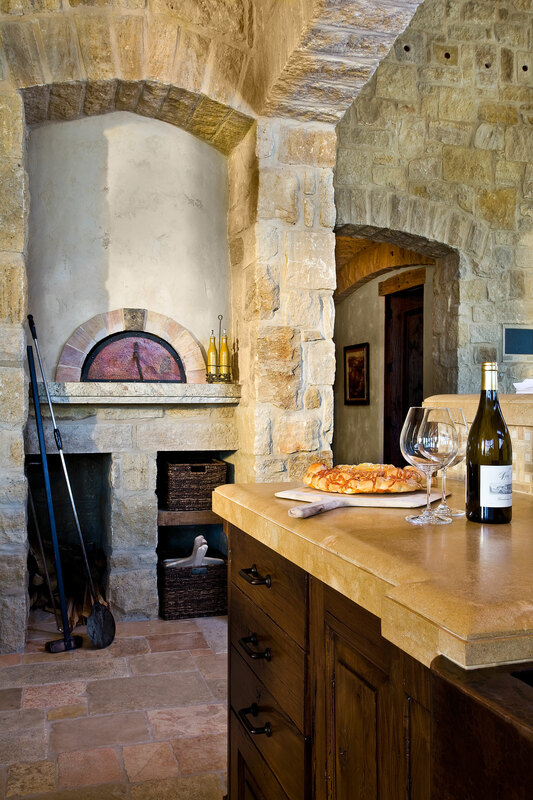 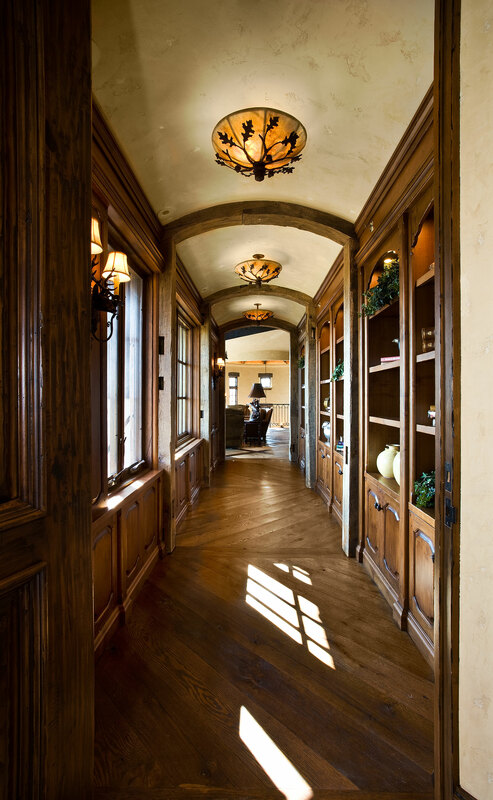 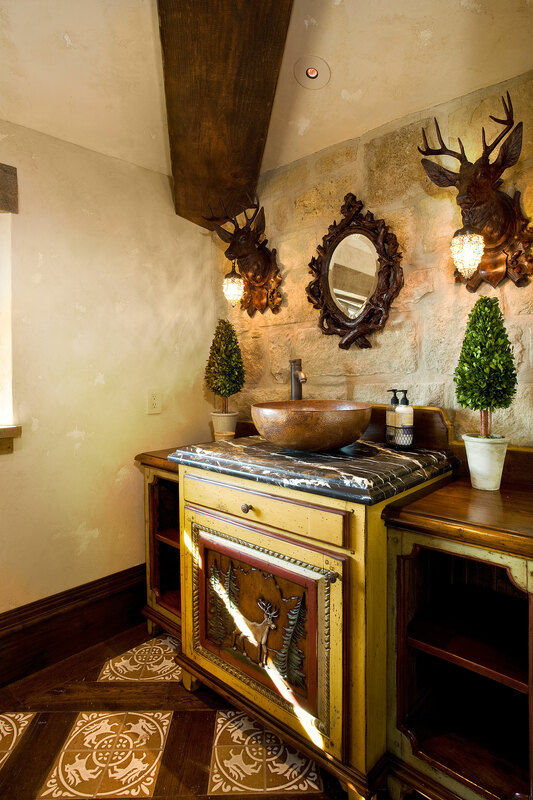 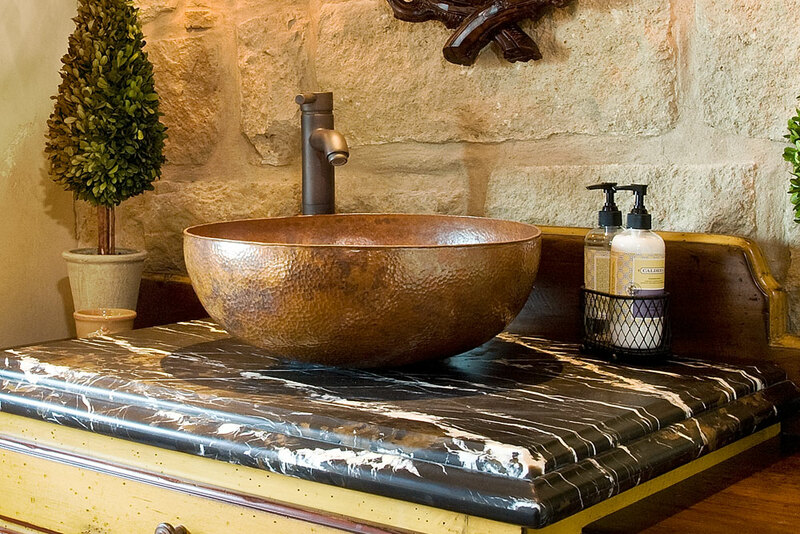 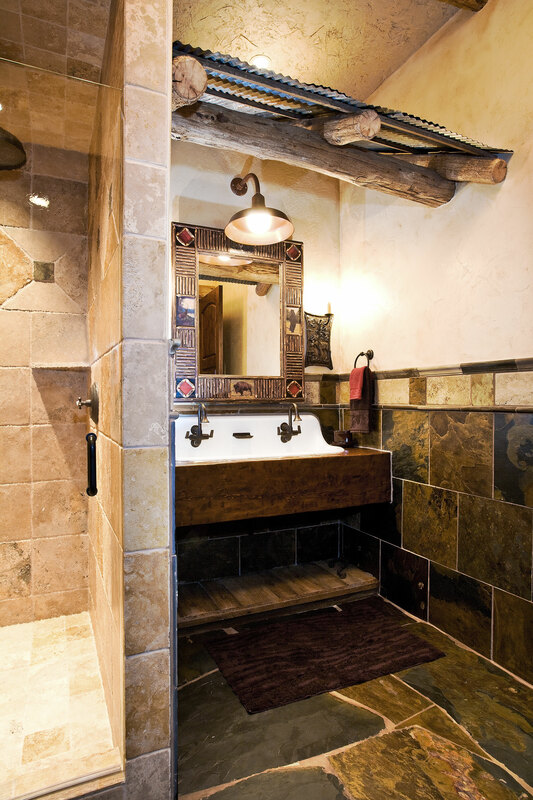 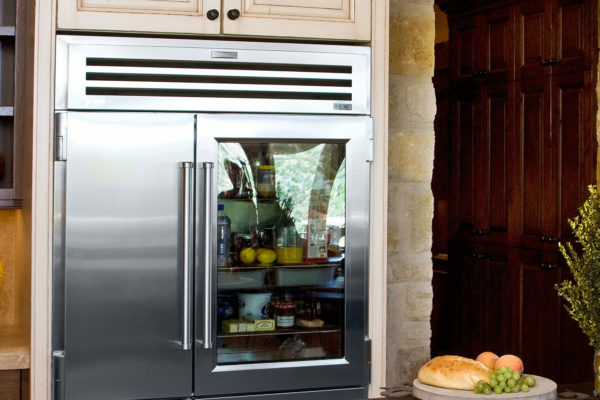 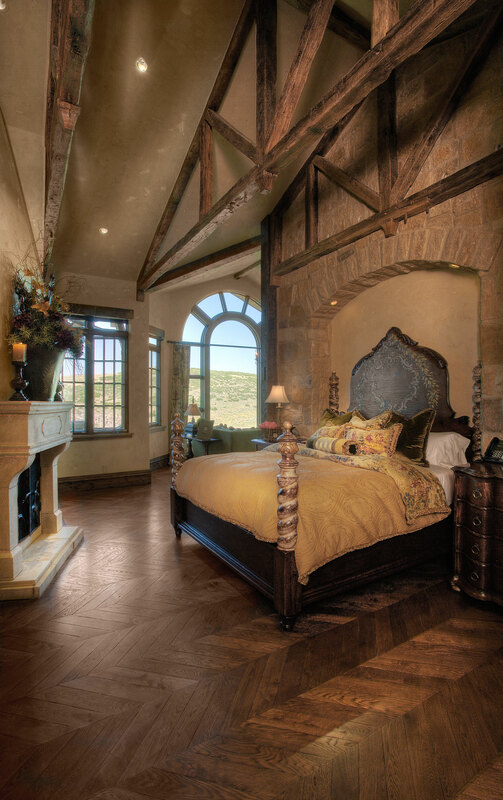 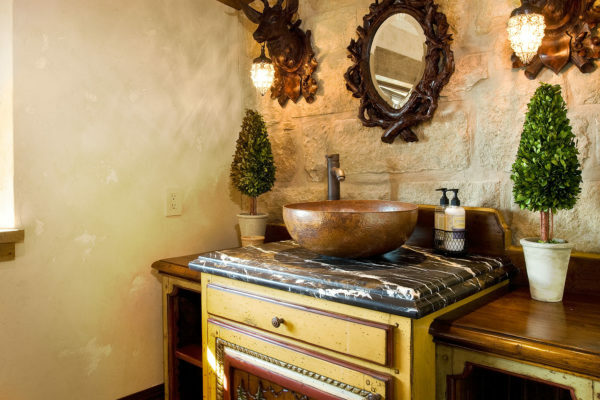 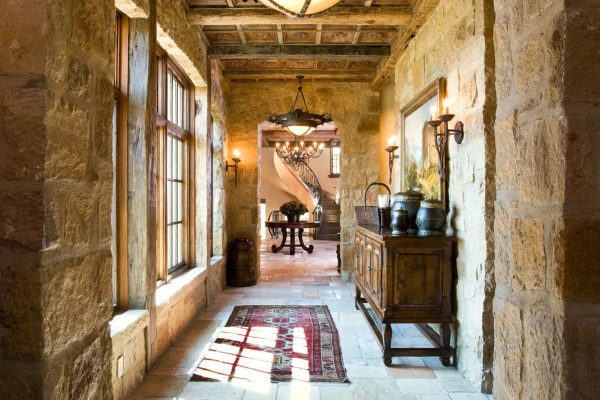 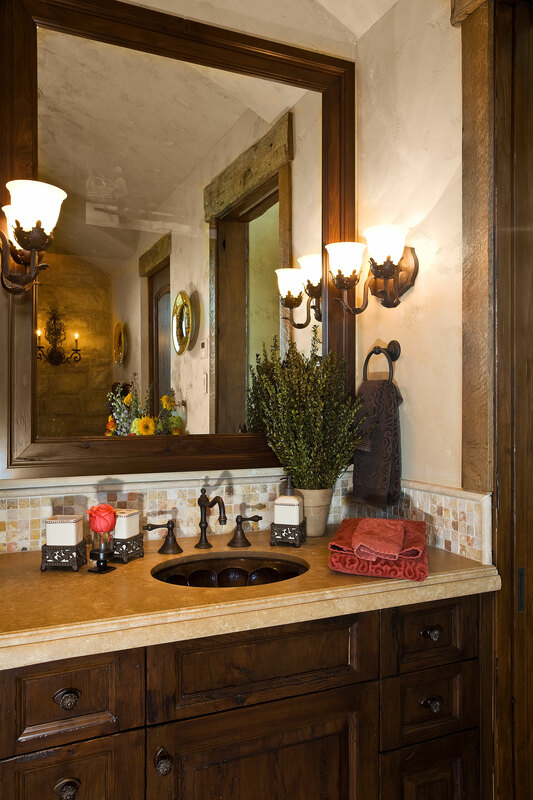 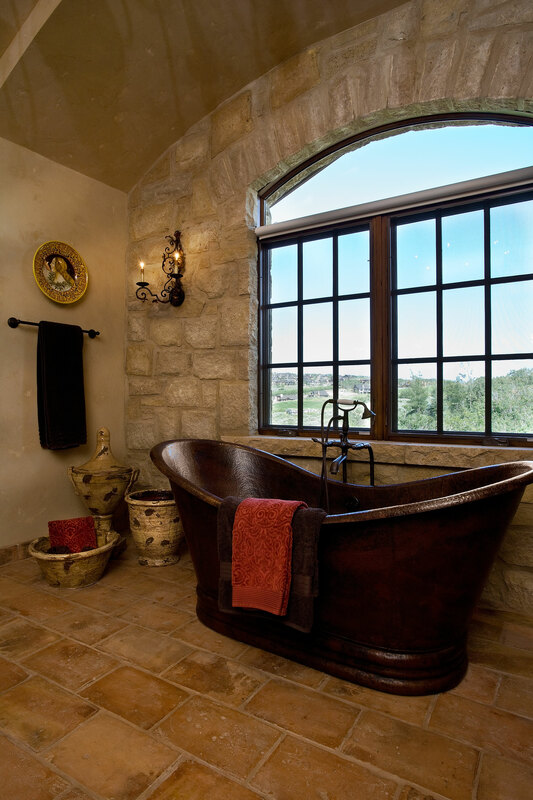 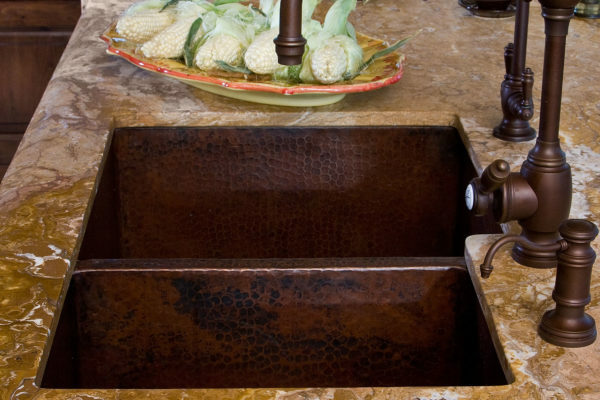 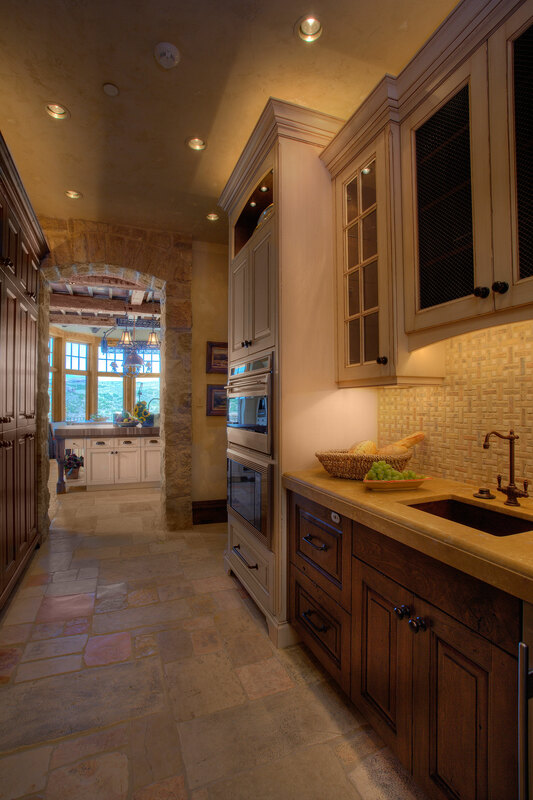 We used classic tones and rich hues throughout the home to warm up the stone. 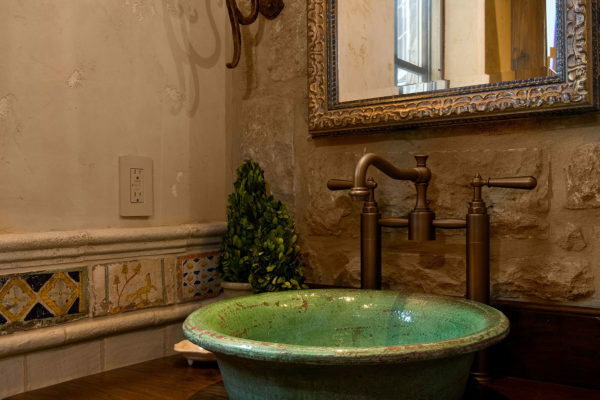 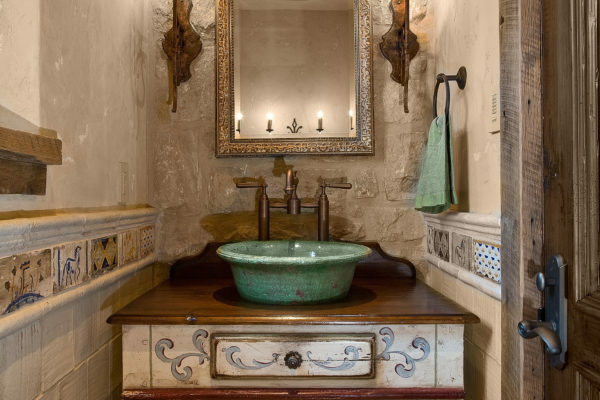 The Master Bath has a custom tile inlay taken from a 14th century church and painstakingly reproduced in a Sicilian brick maker’s studio. 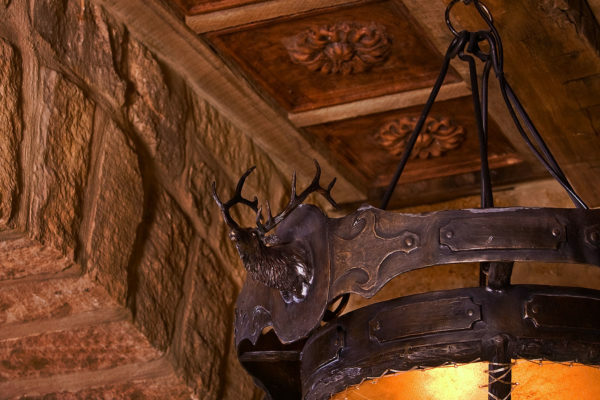 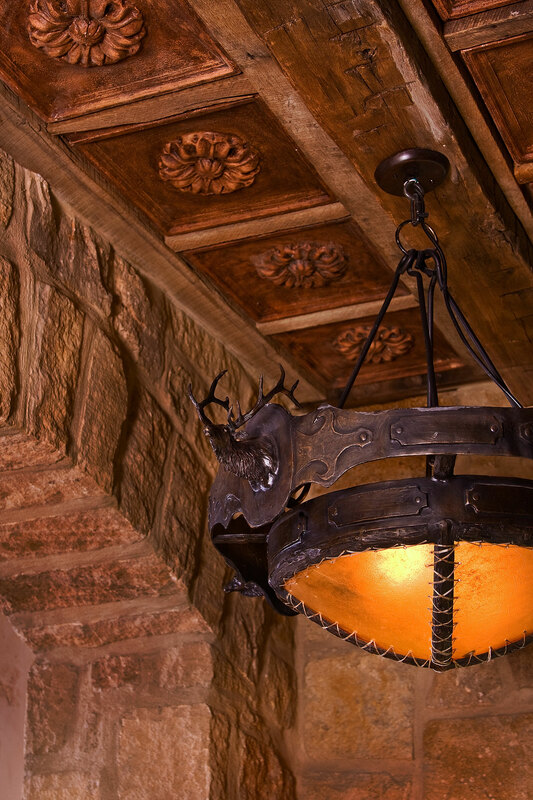 The second level has aspects of a Tyrolean hunting lodge with numerous built in details such as custom medieval iron work above the fireplace. 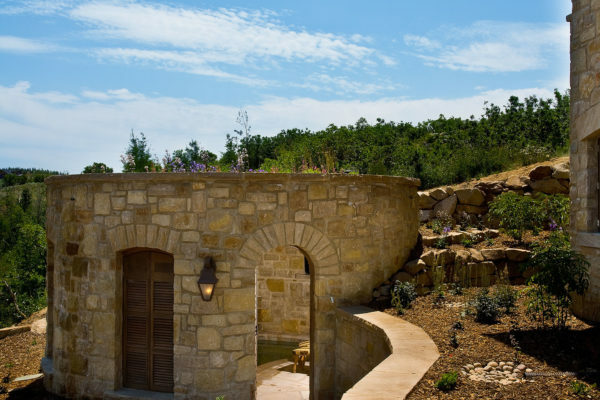 The theatre is made to resemble an open air Roman market complete with stars in the sky! 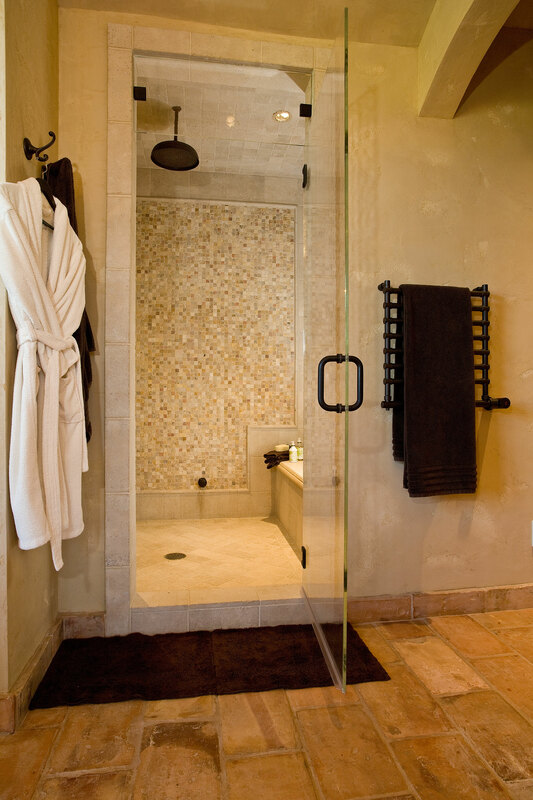 Ontario Design was able to take our vision from our old tired place and turn it into a cool and relaxing environment...This renovation went way beyond our expectations and we are ecstatic about it. It was a pleasure working with Ontario Design. The most important thing I can say about them is “they listen!”...It was a complicated project with lots of pieces, but they pulled it together beautifully. 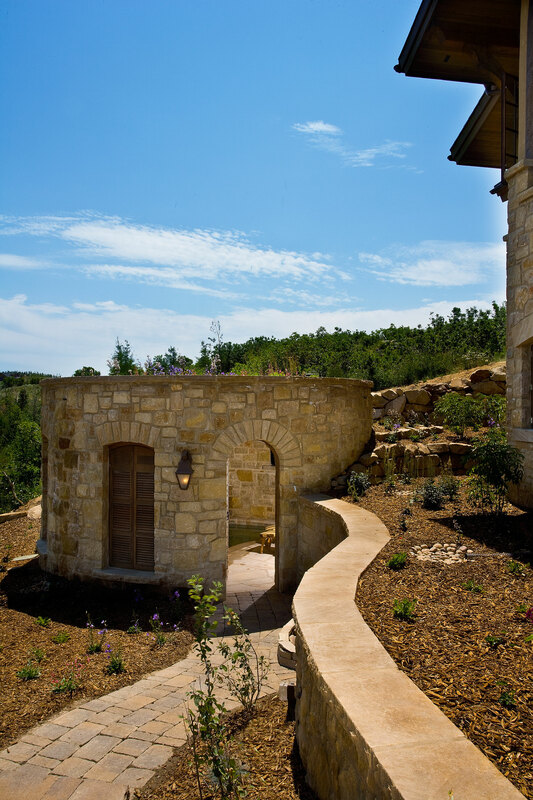 They worked easily with our builder and together created a finished product that far exceeded our expectations. 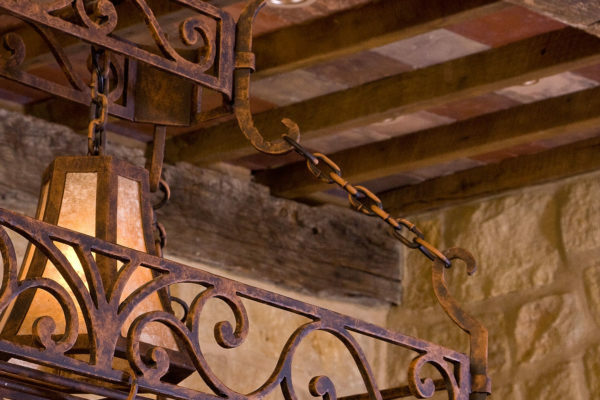 We grew to trust their opinions and judgment. 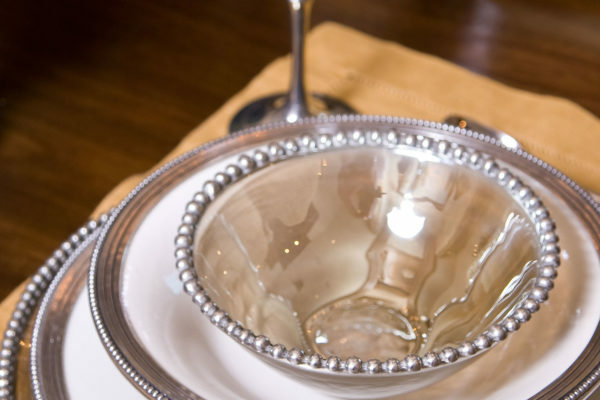 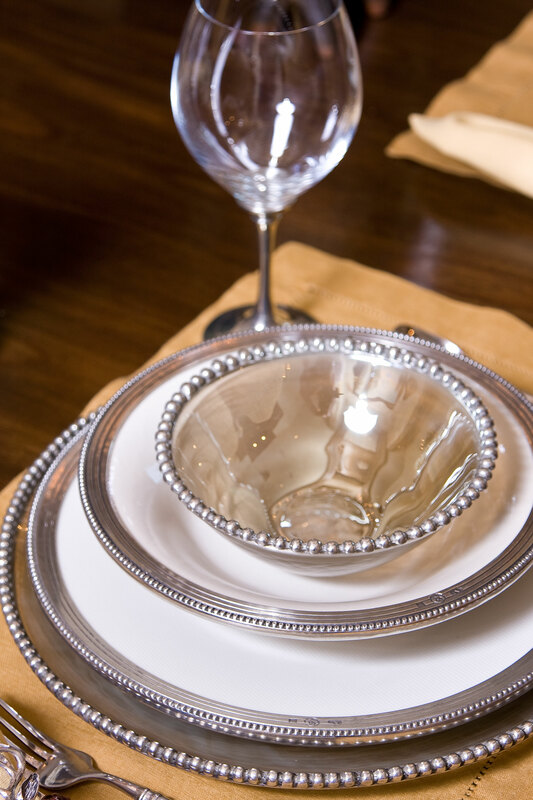 The items that they had made for us exceeded our expectations. 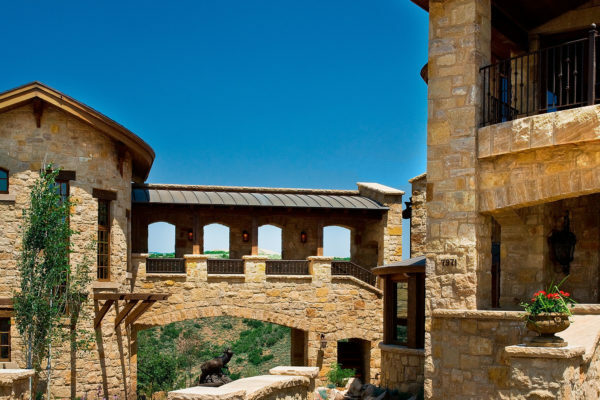 I think the whole project exceeded our expectations. 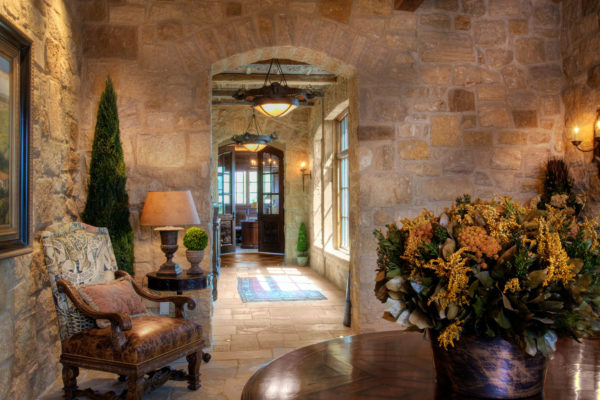 They helped us to make a home that we can enjoy and feel comfortable in for many years to come.